We are learning and our current focus is how to deeply involve students, boys and girls, and community to collaborate to impact light poverty with a limited focus on schools in the northern Colorado area. The plans for lights are on the designs pages and you are invited to download and use them. Use the contact form below if you need to order bare PCBs that are already printed. We will make them available for a small fee although the files are available for you to make your own. – Joining a movement to solve light poverty, a problem, that is affecting over 1 billion people? 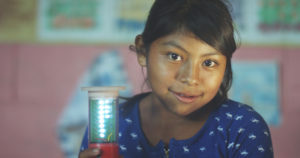 – Teaching kids about the impact of light poverty? – Helping kids become a big part in making the world a better place? – Showing them they CAN make a difference through active problem solving? – Connecting with international partners? Are you willing to help find a global village with whom to partner? – Leveraging your creativity and problem solving to help make Engineering Brightness even more effective than it is now? – Helping kids become entrepreneurs and problem solvers? – Finding ways to access or procure a basic electronics tool kit (e.g. soldering station, hand tools, multi-meter, helping hand)? – Finding ways to access or procure a 3D printer? 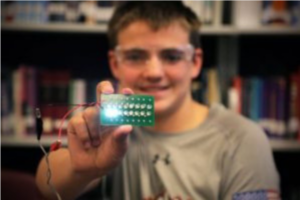 – Know anything about electronics — we will provide easy instructions on how to put the lanterns together.